How did God part an entire sea for the Israelites? How do we know that miracles in the Bible are actually true? These are questions that we have in our minds when we read the Bible. Questions that sometimes we are afraid or embarrassed to ask. The reality is the more we read the Bible the more questions we’re likely to have. God isn’t afraid of our questions, and there’s nothing un-Christian about asking for answers. 1. How can I trust that the people who wrote or translated the words got it right? The Bible was written by dozens of men over hundreds of years. Together, their messages form one perfect, cohesive story of a God who created everything and goes to great lengths to be in a relationship with us. The continuity of the Bible points to a divine author, and 1 Timothy 3:16 tells us all scripture is God-breathed. We can trust the men who wrote the Bible got it right because we trust God who worked through them. We can also trust the Bible because it’s been proven historically accurate. Archeologists have uncovered numerous scrolls, tablets, and artifacts that confirm the existence of people and events included in the Old and New Testaments. The translations we use today come directly from original Greek, Hebrew and Aramaic source texts based on thousands of ancient manuscripts. So yes, the original gospel writers and various translators were imperfect humans, but God Himself guided them to write a book of His love, His remarkable passion, and definitive truth. 2. How do we know the flood, the plagues, and other miracles really happened? Most, if not all, of the miracles recorded in the Bible had multiple eyewitnesses, and archeological discoveries continue to validate these hard-to-believe events. Jesus said, “what is impossible for people is possible with God” (Luke 18:27). We can believe the Bible and the miracles it records when we are willing to recognize that the God we serve is all-powerful, not bound by gravity, time, or human constraints. 3. Why are some books included in the Bible and others aren’t? 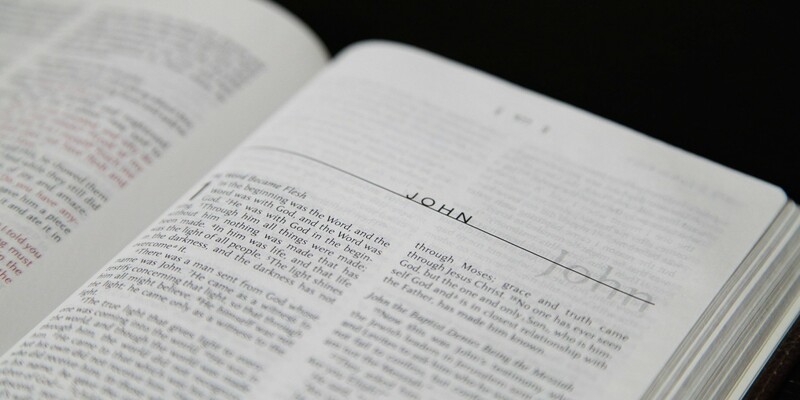 To be included in the Bible, each text had to reflect God’s truth as revealed to his followers for generations and as commonly believed among the churches over time. Additionally, a work also had to have some connection to one of the 12 disciples who traveled with Jesus during his time of ministry on earth. Using these and other strict criteria, Christian leaders were led by God to include the 66 books we now have in the Bible, books considered genuinely inspired by God and worthy of guiding our lives (via Focus on the Family). 4. Doesn’t the Bible contradict itself? The Bible is a collection of texts written over hundreds of years. Each history, letter, poem, and prophecy was written for a specific audience and purpose, but they all work together to tell one big story about who God is and how He loves us. God provided the entirety of the Bible as a picture of Himself and His design. Just as we could not pick up random parts at an auto junkyard and produce a functional car, we cannot pick up random parts of Scripture and produce an accurate picture of God and His message. All of the books of the Bible work together, revealing God’s loving plan to create us, deliver us, and provide for us through His Son, Jesus. Want to learn more about the Bible? The best commentary on the Bible is the Bible. Join your NewSpring family in reading the Bible every day. Text READ MY BIBLE to 30303, and we'll text you a passage of Scripture and short devotional every morning. Discover more about bible or truth.